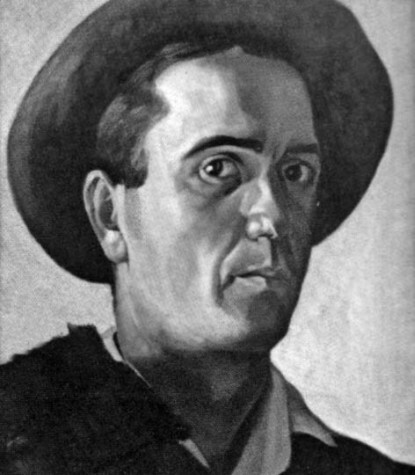 Diadyniuk, Vasyl [Дядинюк, Василь; Djadynjuk, Vasyl'], b 1 January 1900 in Luchyntsi, Podilia gubernia, d 21 January 1944 in Vienna. Painter specializing in portraits, graphic art, and icon painting. 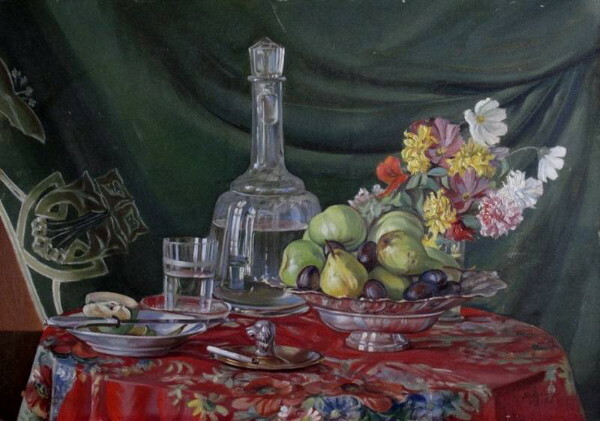 Diadyniuk studied at the Novakivsky Art School in Lviv. He was commissioned by Metropolitan Andrei Sheptytsky to copy portraits of Ukrainian church hierarchs of the 17th and 18th century at the Basilian monastery in Vilnius, and later in Rome and Florence. 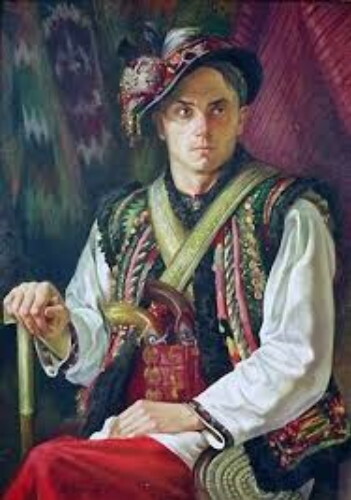 In 1931–2 he painted series of historical portraits of the Princely era and the Cossack period (now in the J. Makohin Collection at the Ukrainian Institute of America in New York). He also decorated churches in a modernized Byzantine style (see Neo-Byzantinism): in particular, he completed murals begun by Petro Kholodny in the Dormition Church in Lviv. His work was exhibited in Paris, Lviv, and Warsaw. A referral to this page is found in 4 entries.